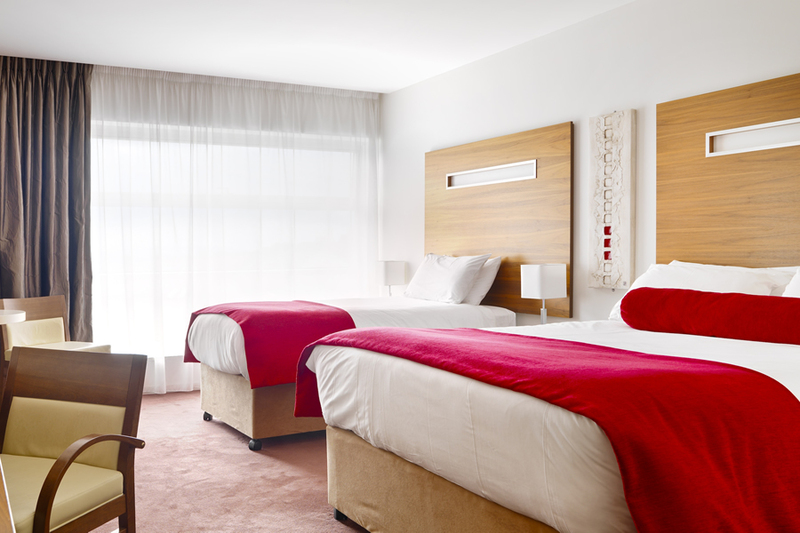 Welcome to Clayton Hotel Galway, where you are guaranteed a warm welcome and professional service delivered with a friendly smile throughout your stay. The Hotel offers a beautiful 3 lane, 20m swimming pool for you to enjoy during your stay. 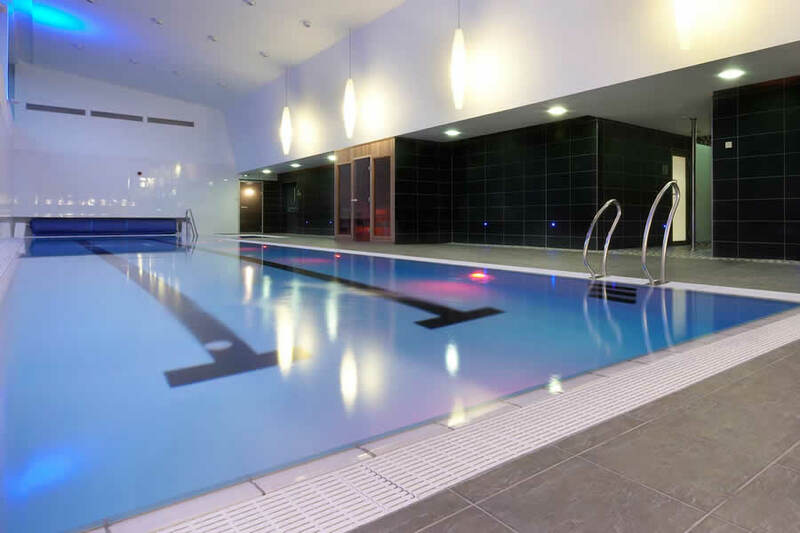 Have a splash with the kids or simply relax and float in the calming air of this great Galway swimming pool. Children are welcome in the pool until 7pm. The hotel is located in Ballybrit, Galway. There is always something to do in Galway. There is no need to venture far from the hotel to enjoy the city. Lovely hotel, very friendly staff. Room was very spacious and clean. Really comfortable beds! Pool was great. A brilliant hotel for a short break. I found this hotel to be very bright and spacious and welcoming. Staff were very nice and efficient. Ideal place to stay on a visit to Galway and surrounding areas, a bus stop outside hotel very convenient and takes you into the city in approx. 15 mins. 2.10 Euro single trip or taxi ride costs approx. 15 Euro. Would recommend this hotel. We stayed in the Clayton Hotel for 2 nights. Room was nice and cozy. Food was brilliant. Staff were very efficient and lots of them on. I would recommend to everybody. Thank you. Geraldine and Jim. Fab hotel, rooms so spacious, fab food friendly staff. Couldnt complain everything was perfect. Nice hotel, clean, well sized rooms and a small pool/leisure centre. Hi.stayed at this hotel last week.lovely big room.great with two baby's.great bar and restaurant food.swimming pool nice.gud service;towels given at pool entrance.also bags for wet ware.all in all gud stay.freindly staff.will be back. Regular bus service right outside the hotel to the town. Great staff and amazing breakfast buffet. Very comfortable rooms. Highly recommend staying here. Our stay was perfect. The room on the third floor was nice and big, clean and quite modern. The staff were lovely too. I woudl recommend this hotel. Really enjoyed our stay, the room was very comfortable & staff helpful. We had food in the bar on the evening of our stay & it was the standard of a top restaurant. This is one of the nicest hotels I have stayed thus far. The staff are friendly and warm and always on hand to every request. The room we stayed in was a family room and was huge with two double beds , dressing area and lovey bathroom. We had a balcony also, which we didn't go out onto as there were some loose wooden boards and a bit dangerous with a four year old (was reported to staff on checkout)On booking our room I had requested a fridge for our daughter for her milk and medicine and upon arrival wasn't there. After two phones calls and about 2 hours wait it finally arrived and made our stay more relaxing as not worrying about how to keep milk cold!!!! The pool was amazing and on both days that we used it it was complete empty (we went about 2pm on both days) and we had the pool to ourselves!!!!! You get towels down in the pool area and armbands, floats it was amazing, you have to wear swim hats so buy them before you go. There is no shallow or deep end the pool is the same dept the length of the pool so bear that in mind with little ones. Breakfast was lovely. Our daughter is a fussy eater and staff were very attentive to her needs, and they even remembered for the next morning what she liked and brought it without being asked which was wonderful. I was celebrating my 40th birthday over our stay and was a little surprised that a little gift or card was not present in our room which is very usual for most hotels that I've stayed in and I've stayed in a lot!!! (my husband did mention this on booking). This personal touch was lacking and kind of let the Clayton down in my opinion. But that was the only thing, this hotel is big and grand with beautiful fixtures and fittings and will be staying here again. 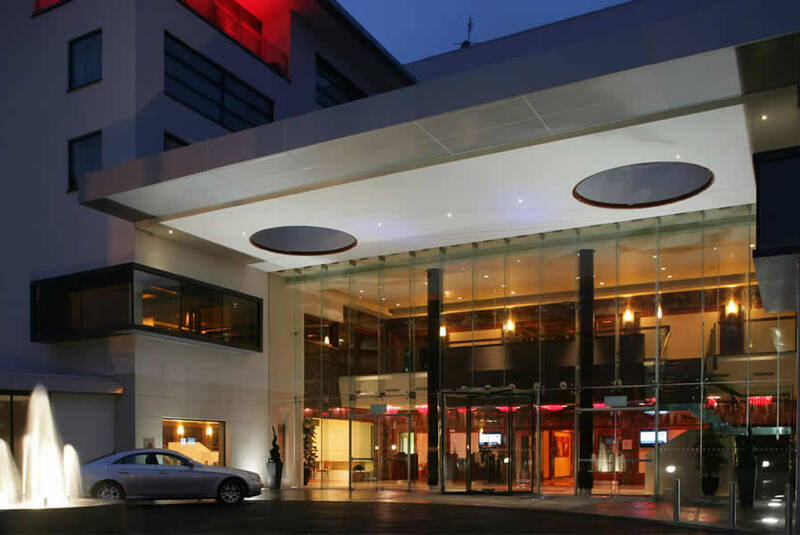 Fantastic hotel,everything and all the staff were great,best value we have come across for this quality of hotel,will definately return.Great bus service to and from Galway city. Just back from a stay at the clayton hotel with my husband and five children. We had joining rooms and they were clean and plenty of room. From the moment we arrived the staff were helpful and friendly especially with the five kids. The pool was clean and plenty of clean towels available. Food was great and plenty of variety for all the different age groups. There was a kids club but we did not use it as we were busy doing other activities in Salthill which is only 10 mins drive. We stayed as a couple in may without the kids and enjoyed it so we decided to stay there again when we were in Galway in July with the kids and they really liked it. We enjoyed our stay very much. The room was very comfortable and spotless. Food was good and well presented. Excellent value for money. We would defini tely stay there again! Great hotel and the staff could not have been more helpful. There were 19 of us for my father in law's 80th, we were really well looked after. The rooms are large and very comfortable. perfect hotel in every way, better than some 5 star hotels I have stayed at. We are all looking forward to returning again in the future. Brilliant Hotel, Very friendly Staff, Food was good and everything was very clean will definitely book this hotel again. We have just returned from a very enjoyable break at the Clayton Hotel, Galway. On arrival we were upgraded to executive rooms. The staff were extremely friendly, hotel was beautiful. Breakfast was enjoyable. What a great hotel & we will definitely be making a return trip. Stayed here last weekend 6th april, hotel and staff was brilliant, food was amazing, would reccomend this hotel. I don't have a bad word to say about the Clayton. It was my first time staying there and I will def be returning. I stayed as part of the B&B + dinner deal - the rooms were fab, really clean & comfy. The dinner was lovely, had nice choices. Breakfast was gorgeous, I think it was the best breakfast spread I've ever seen. Staff from reception to bar to restaurant were great, I couldn't fault their friendliness & efficient service. It is a little outside the city but a taxi isn't too bad if you are sharing, it was €15. Beautiful hotel, staff extremely friendly. Will definately be going back there. Had a great stay in the Clayton! The staff were extremely friendly, welcoming and helpful. The facilities were lovely, and I would definitely stay there again! Highly Recommended. Beautifully clean hotel, breakfast was delicious and plentiful. Staff were very pleasant and efficient. Even though the hotel was packed we didn't hear a sound all night. The beds were amazingly comfortable, and the rooms really big with all required facilities. Great car parking. I will definitely return. We stayed at the Clayton Hotel Galway at the weekend and i have to say from start to finish we could not find any fault with this hotel. The welcome we got from the receptionist was lovely and very pleasant. The rooms were big and everything you need was there. the bed i have to say were one of the most comfortable i have ever stayed in. we had dinner in the restaurant and were so helpful esp the gentleman that was welcoming us. he was there for the two morning for breakfast and it was like he knew us and couldnt be nicer. all in all, it was a great weekend and would highly recommend it to anyone. The room was lovely - warm, clean, modern. The evening meal was ok, nothing special. Breakfast choice was good and they did have Gluten free bread which was a plus. I think they could improve on the taste of the evening menu though. However it was all very reasonable. Location was good too. Great stay in Clayton hotel. lovely comfortable beds. Nice breakfast. Location a little far out but only about €10 for a taxi into town. Will definitely stay here again. The hotel has great facilities.All food from the breakfast to the evening menu was very nice and plenty to choose from.The staff were very helpful in all areas.Would definitely stay there again. We had a lovely stay in March 2014. The hotel is in a built up area near a shopping centre and apartment blocks so the views are not great. However, the hotel was very modern and comfortable and well-finished. The bedroom was lovely as was the ensuite bathroo, The bed was really comfortable. The food was good and staff were very friendly. I would stay here again. Excellent hotel. Very well kept, nice rooms and food. Will definitely stay here again if I go to Galway. Lovely clean hotel, very friendly and helpful staff. Myself and my husband spent 1 night 8th March to celebrate our 40th Anniversary along with our 2 sons, daughter and daughter in law, We all had a lovely time. the food was excellant, and the staff were really very nice. We thoroughly enjoyed Paddy's music, and my son got up to sing also. Great night all round, I would certainly recommend this hotel. Very enjoyable stay. Spacious family room a big bonus. Friendly, professional staff. Excellent breakfast. Only negative - no kids pool which would've been nicer when staying with toddlers.